Can your smartphone make you a better person? Technology designed to connect us can just as often isolate us, even from people in the same room. But what if it could make us more caring? At South by Southwest (SXSW) in Austin, Tex., today, Dr. Sara Konrath will talk about her research on using text messaging to build empathy in teens. 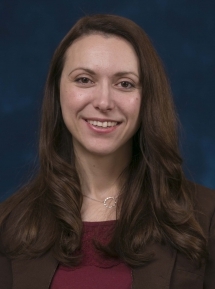 Konrath is assistant professor of philanthropic studies at the Indiana University Lilly Family School of Philanthropy. Konrath has found it is possible to increase people’s empathy—tendencies to feel for others and imagine their perspectives—via text messaging, with the effects lasting up to six months later. The approach has potential for improving a wide variety of societal and physical and emotional health issues, from reducing cyber-bullying among teens to training medical students to more closely identify with and care for their patients. Cell phones and text prompts are used to help smokers quit smoking or to help people with diabetes manage their blood sugar. Such interventions are inexpensive to implement, can be embedded within participants’ everyday lives, and can be widely and broadly disseminated, but so far have mostly been applied to change physical health behaviors. Konrath’s research finds that a similar approach can help people build their social and relational skills. The project is funded by the John Templeton Foundation. Konrath has worked closely with HopeLab, a social innovation and technology enterprise, to develop and pilot test a two-week text messaging program that gives people practice understanding others’ feelings, imagining their perspectives and doing small acts of kindness throughout the day. “It’s a personal empathy coach in their pocket,” she says. Increasing empathy has both societal and personal benefits, Konrath says. Strengthening social bonds can help people to be more connected and caring members of society, but also can help them be happier and healthier as well. Konrath is the director of the Interdisciplinary Program on Empathy and Altruism Research (iPEAR), a research lab at the Lilly Family School of Philanthropy with a primary focus on empathy, altruism, and other-focused behavior. Her research examines causes, consequences, and changes in empathy and related traits from a variety of perspectives, including their underlying physiology. Her collaborators on the initial paper on this project are University of Pennsylvania scholar Emily Falk and University of Michigan scholars Rich Tolman, Rebecca Cunningham, Maureen Walton, James Swain, Mary Liu and Andrea Fuhrel-Forbis. Hopelab works to harness the power and appeal of technology to improve human health and well-being. It focuses on the research and development of new social technologies to promote human resilience and improve both psychological and biological health and well-being. HopeLab is part of The Omidyar Group.